Chorley’s new extra care residential village for over-55s has been officially handed over to the Council by developers Eric Wright and is moving ever-closer to completion. Finishing touches are now being carried out at the complex on Fleet Street, with the project scheduled to be completely finished inside and out within the next few weeks. The first residents are expected to move into the impressive new property, which features 65 one- and-two-bedroom apartments, a dance studio, and space for a café, during the summer. 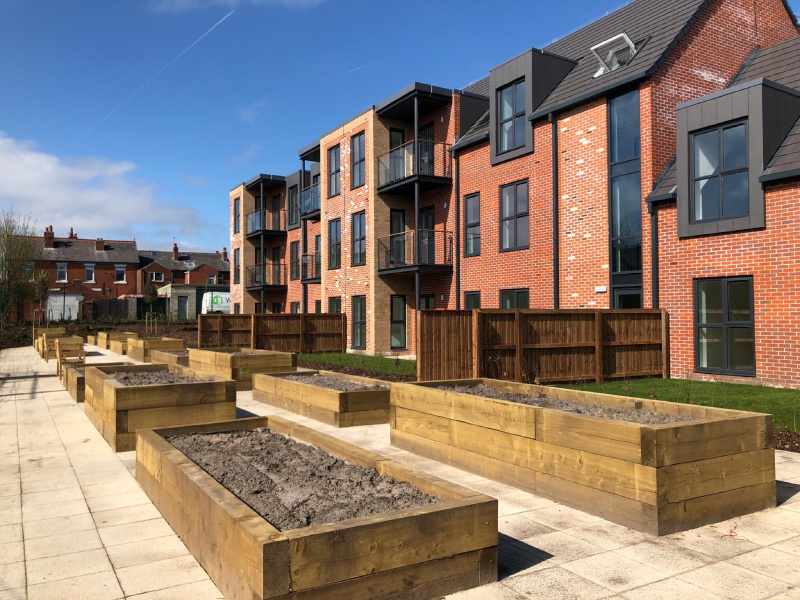 Homes England, who along with Lancashire County Council part-funded the project, gave their seal of approval on the work at the end of March.